Available on Facebook Messenger, PennyCat is a chatbot which gives discount coupons for flowers, pizza, tickets, and more to its users. Will the chatbot live up to our expectations? Let’s take a look. PennyCat is a discount coupon chatbot on Facebook Messenger. You have to activate the chatbot on Facebook Messenger, by clicking on “get started.” The chatbot will introduce itself and ask you if you want to play a game or you want to find a deal or how to earn rewards. If you tell the chatbot that you want to play a game, you have to pick from the mystery box game, the beginning, name that Pokémon, this or that, show your cat, and cat of the day. For example, if you select the mystery box game, the chatbot will tell you that it has boxes with various items such as donuts, strawberries, and umbrellas. If you can guess what is inside the mystery box, three times, you will win a real prize. Before you start playing the game, you need to select the gift you want to win from PennyCat. The prizes at the moment are $25 Amazon Gift Card, $50 ColorPop Collection, Birch six month subscription gift card, Beats Solo3 Wireless Headphone and a VR headset for PlayStation 4. Another popular game on PennyCat is to guess the names of different Pokémon. Every time you get a right answer, the chatbot will show you a gif of the Pokémon, before moving to the next question. You get 10 points for every Pokémon you name correctly. You have eight tries to name all the Pokémon. When you start playing the game, you will have to figure out what is inside the mystery box. You only have three tries to guess what is in the box. Every time the chatbot asks you a question, it will give you three options. The chatbot is well-designed as you can navigate back to the main menu quite easily. 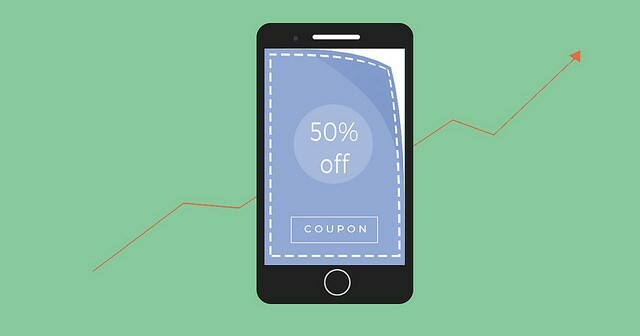 You can use the chatbot to find discount coupons for various stores. All you have to do is provide the name of a store from where you want products and services, and the chatbot will do the rest. For example, if you tell the chatbot that you want a discount coupon for Starbucks, the chatbot will give you one, if available. The currency of the chatbot PennyCash can be earned and exchanged for rewards. The chatbot will tell you how to earn PennyCash, using various methods and techniques. You need to collect at least 5000 PennyCash if you want to get a list of perks. You can earn PennyCash by helping the chatbot find coupons, completing the daily mission and finding hidden games and quests. For example, one of the missions for the day is to like PennyCat’s official Facebook page. After finishing this mission, the chatbot will give you a collection of its favorite apps. The chatbot will teach you step-by-step, how to find promotional coupons for online stores on PennyCat. Overall, PennyCat provides useful discount coupons for various stores. With minimal effort, you can get most of the discount coupons from PennyCat. You can also play games and collect PennyCash. If you have at least 5000 PennyCash, you can exchange it for a reward. However, the chatbot doesn’t have natural language procession at the moment, which is a minor setback. Do give PennyCat a try on Facebook Messenger. Without even spending a penny or signing up, you can avail discount coupons from PennyCat!